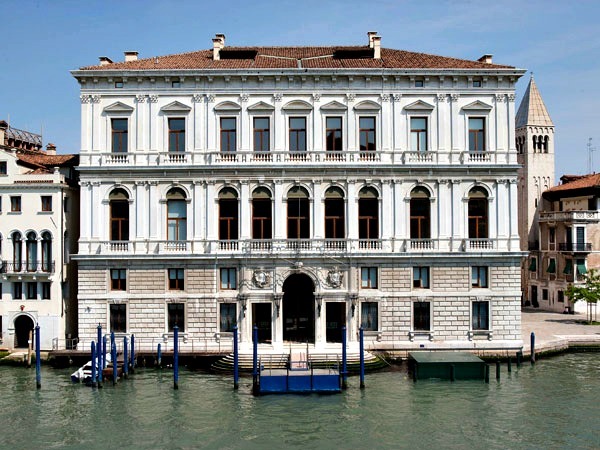 Palazzo Grassi Museum, fan of contemporary art? Why I can get freshened up with new & Contemporary Art at the Museum 'Palazzo Grassi'? Are you a fan of contemporary art? It could be nice! After all the history in the city, Palazzo Grassi is worth a visit to freshen up. Especially, if you like the style. This collection usually seeks the confrontation! Giorgio Massari designed the gray-white marble building. The last descendant of the Roman dignitaries (Patrician) lived in this palace. The building is from between 1748 and 1772. The palace looks different in style than the older palazzo in Venice. 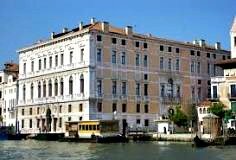 It is the last Palazzo which was built after Venice was no longer an own republic. The Palazzo was purchased in 1980 by the Italian car manufacturer Fiat and sold again in 2005 to the Frenchman Francois-Henri Pinault. My first time I visited this museum was an accident. I had been wandering around and came to this museum. The vaporetto stop "San Samuele" is the nearest point to get to the museum by boat. If you take vaporetto boat no. 2 you have to get off at the vaporetto stop "S. Angelo." The opening hours are Wednesday - Monday from 10:00 to 19:00. The entrance ticket costs EUR 15, -. It is EUR 20, - when you want to see another museum of the same owner. This museum 'Punta della Dogana' is also a gallery of great modern art treasures, found across Grand Canal. Tickets with a discount (for example, student, senior) costs approximately EUR 10, -. On the website of the museum, you can see additional information for the qualifying discounts. The museum is wheelchair accessible. The exhibition area covers approximately 2000 m2 of art from the collection of the wealthy Frenchman (also the owner) Francois-Henri Pinault. The entire building, including another museum Punta della Dogana, is a cultural institution with exhibitions, readings, workshops and so on. In front of the building, you can see the massive sculptures. Your interest depends mainly on which temporary exhibition takes place. But contemporary art is what it says. All exhibited in harmony. In contrast to the yearly Venice Biennale, the Frenchman often steals the show with occasional provocation. I love to sit here with something tasty to drink/eat. The museum also has its theater for approximately 225 people for concerts, films and other displays that do justice to art. You've read about this Palazzo. There is plenty to explore, as you see. Read my site about Venice Italy and get more information on this beautiful Italian city.